Habitat loss, poaching and interbreeding with coyotes have decimated the red wolf in the wild. There are fewer than 40 red wolves left in the wild—freely roaming the forests and marshes of eastern North Carolina. Almost 20,000 Americans sent messages calling on the U.S. 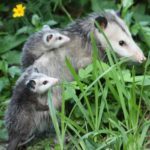 Fish and Wildlife Service to make the right decision for this endangered species in the wild by continuing the crucial program that will save them.